This promotional single was released to promote the release of “When Love Comes to Town” as a single as well as the album “Rattle and Hum”. It was issued by the UK branch of Island Records and contained three remixes of songs found on “Rattle and Hum”. The remix of “Desire” was taken from the “Desire” single, and the remixes of “When Love Comes to Town” and “God Part II” were done for the single “When Love Comes to Town” but both versions here are slightly different than those which appeared on the commercial single. The 12-Inch single was released on black vinyl with a white label. 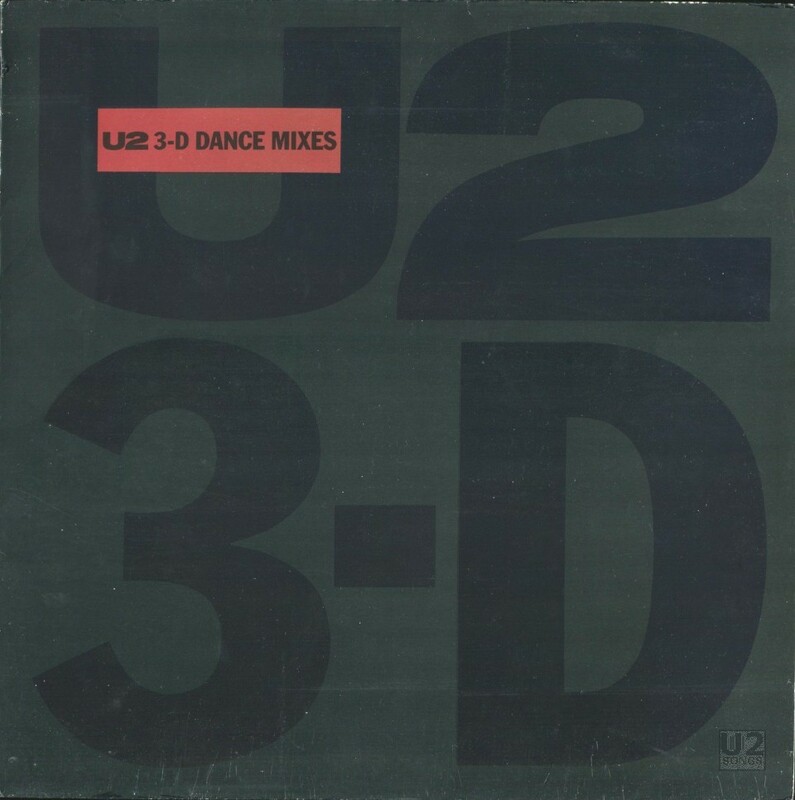 It was released in a full picture sleeve, which consisted of the same image on the front and back, a large “U2”, and a large “3-D” with a small brown box with the title of the release. On April 10, 2018, U2.Com announced that a new pressing of this set will be made available to subscribers on vinyl for the 30th anniversary of Rattle and Hum. The initial announcement on U2.Com does identify that the two alternate mixes will be used, and this has now been confirmed from the digital release of these tracks. Two of these tracks (although slight edits of both) appeared on the “When Love Comes to Town” CD Single in 1989 and the other appeared on the “Desire” CD Single in 1988. The fan club release will come with a gatefold poster, plus a pair of black and white prints by Anton Corbijn. The cover will replicate the original release, but the labels are updated to match the cover. On May 25, 2018, the digital downloads of the tracks contained in the set were made available to subscribers in mp3 format ahead of physical shipment of the discs. The files are available as one big Zip file, that can be downloaded from users profile pages. See the catalog section below for more information on these downloads. On June 27, 2018 they were also made available from U2.Com in an uncompressed format as Wave files. Copies of the physical 12-Inch started to ship in September, 2018, with shipping notices starting to show up in emails on September 11, 2018. Words by Bono. Music by U2. Produced by Lou Silal Jr. Engineered by Dave Bianco. Assisted by Randy Wine. Sermon: Little Richard. Saxophone: Dave Koz.